Follow the path of Faustina on her journey to sainthood. 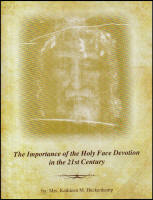 Award-winning author and historian Dr. Ewa Czaczkowska tenaciously pursued Faustina to ultimately produce a biography that masterfully tracks this mystic's riveting life and her unique call from Jesus.More than 70,000 copies of the original Polish edition were sold within three months of its release. Now licensed for English distribution exclusively through Marian Press, Faustina: The Mystic and Her Message provides new details about this remarkable woman and rare photographs of her. In this biography, get to know the real Faustina, her message, and her mission.Includes 32 page photo section, featuring many never-before seen photos! I have read her diary twice and thought I knew all about her. But, I was wrong. This book brought in all kinds of details about the various places she lived as well as the sisters and superiors she interacted with at each one. 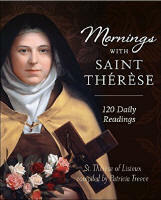 I recommend this to anyone who has a devotion to Faustina and Divine Mercy as well as anyone who enjoys a good biography.